"Socks, they are a serious business." No, really. Why would your consideration for socks be any less significant than that of the rest of your outfit? I'm on record as having previously said I didn't fully comprehend the whole sock trend (nay phenomenon) but that wasn't entirely true. But I honestly didn't know there were rules to wearing socks. Growing up socks weren't of any obvious importance and just something your parents bought you. Family photos show that mine were predominantly basketball socks which looked great paired with cowboy boots and cut off denim shorts, and were also ideal for catching snakes with at the creek. Well I did grow up in Texas in the late seventies after all. Then I moved to the UK and as I got older socks became something more to consider, especially as they now came out of my hard earned paper round money. Into my teens and Argyle socks better known as diamond socks by the 'chuffers', were the most popular style at school and amongst my peers. As an adult I've actually been markedly particular about my choice of socks not only in appearance but importantly in material compound. My feet sweat, a lot, so for practical reasons I only go for socks made with 80% cotton or more and when shopping for socks I invariably buy multipacks for cost efficiency. I would wager that my definition of comfort with regards to footwear varies greatly from the majority of those reading this post due to the fact I exclusively wear barefoot shoes, and no not the hideously ugly ones with the fingers. With just 3mm of sole underfoot I'd say I'm more disposed to enjoying a quality pair of socks than someone wearing thick soled shoes or trainers, but I could be wrong. And lastly they look good. Tapered trousers and denim with turn ups are still the axiom of men's fashion. So I concede that socks have indeed mattered in my life more than I let on. Fortunately for me the path to quality socks has been illuminated via the gift of membership to a club and movement set out to elevate and champion men’s hosiery, and all associated style related items. 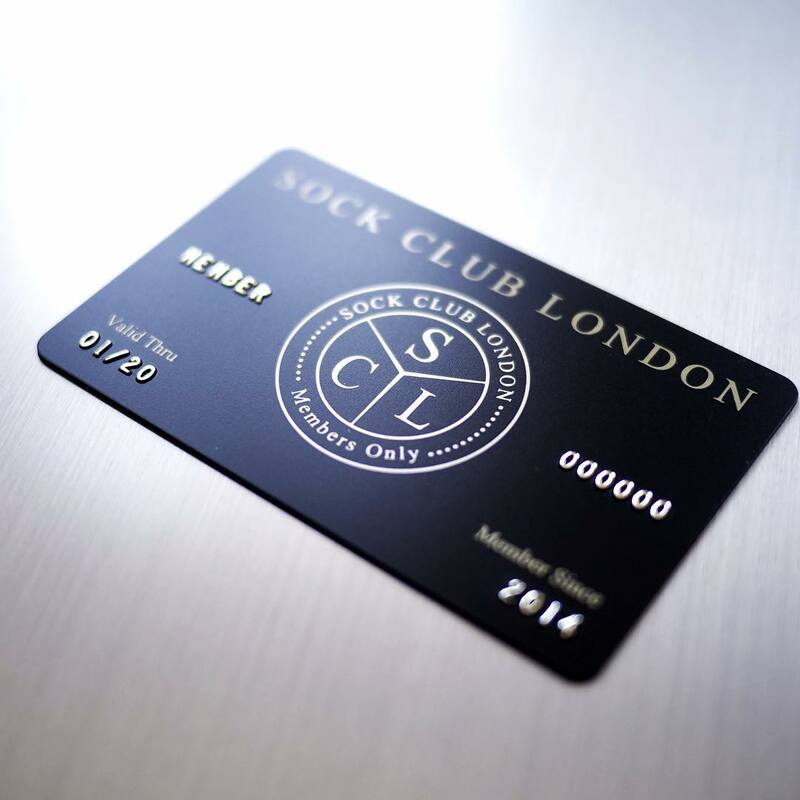 This esoteric club comes with the black card you see above and goes by the prodigious name of Sock Club London. The club is formed of a collective of like-minded individuals with shared passions, and led by member 001 and member 002. 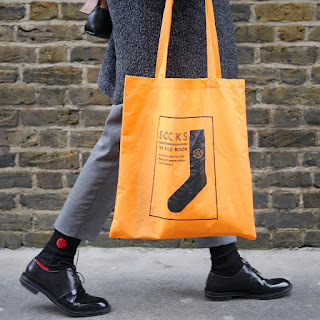 Initially offering members only edition socks made by highly regarded brands such as Corgi and Pantherella, their inventory has since grown to include popular brands like Burlington, Pendleton, Stance and Universal Works. Not content with solely offering hosiery, Sock Club London also partner on limited edition product collaborations with brands, manufacturers and individuals who share the same passion for craftsmanship and detail; and an obsession for producing the finest end products. These include leather goods, bags and more. 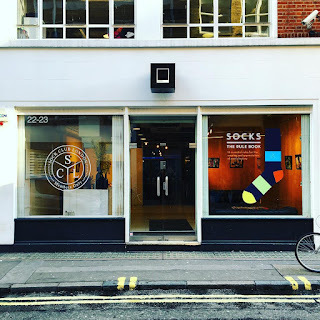 Having seen the light and as just one of many benefits of being a member I have the pleasure of helping them celebrate their latest endeavor, that being the release of "Socks: A Rule Book" at the Exposure gallery in London tonight. "We wear socks every day (please see Rule No. 1, the first and most important rule that covers this very point). Socks are the glue that binds an outfit together, the telling detail that shows that a man understands what it is to be stylish. But they are also a minefield of potential fashion disasters and style pitfalls. 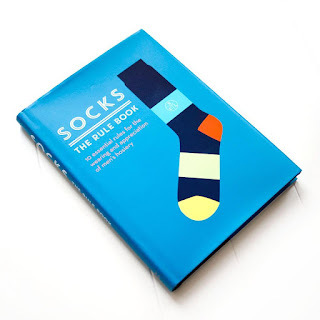 Socks: The Rule Book will solve your hosiery dilemmas. 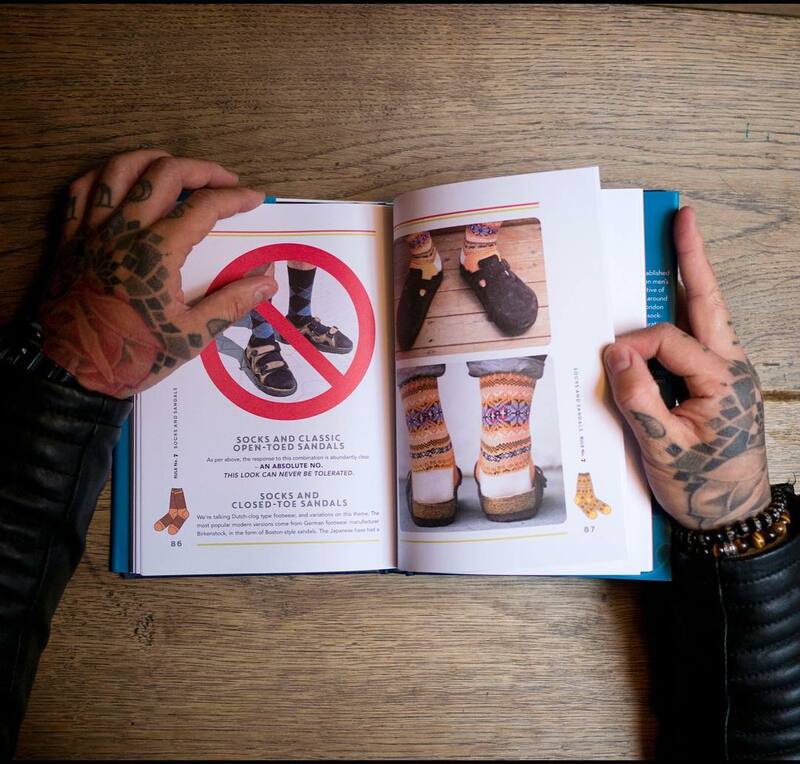 With words by Sock Club London member 001 and images by member 002 this book clearly, though perhaps not always concisely, lays out the ten essential rules of sock wearing with fashion-conscious advice and a knowing sense of humour, this book answers previously unanswered questions and establishes clear guidelines for every aspect of the sock world. Prepare and steady yourself: mastering the ten rules of socks will change your life, maybe even for the better." I am really looking forward to joining other members in what will be my first Sock Club London event, and toasting this remarkable achievement. If that weren't enough followers of the club's Instagram page will no doubt have seen teaser shots of an exclusive gift for revellers. "We made some limited edition tote bags to be given away to the vip guests at our book launch on Thursday evening. Made from the finest man-made materials, lovingly printed in the netherlands and hand stuffed with goodies by member 002 these are sure to become the must-have accessory over the next couple of months. Ideal for temporary sock transportation or indeed for carrying a good book or two." So you see socks are a serious business after all, but there's plenty of fun to be had as well. 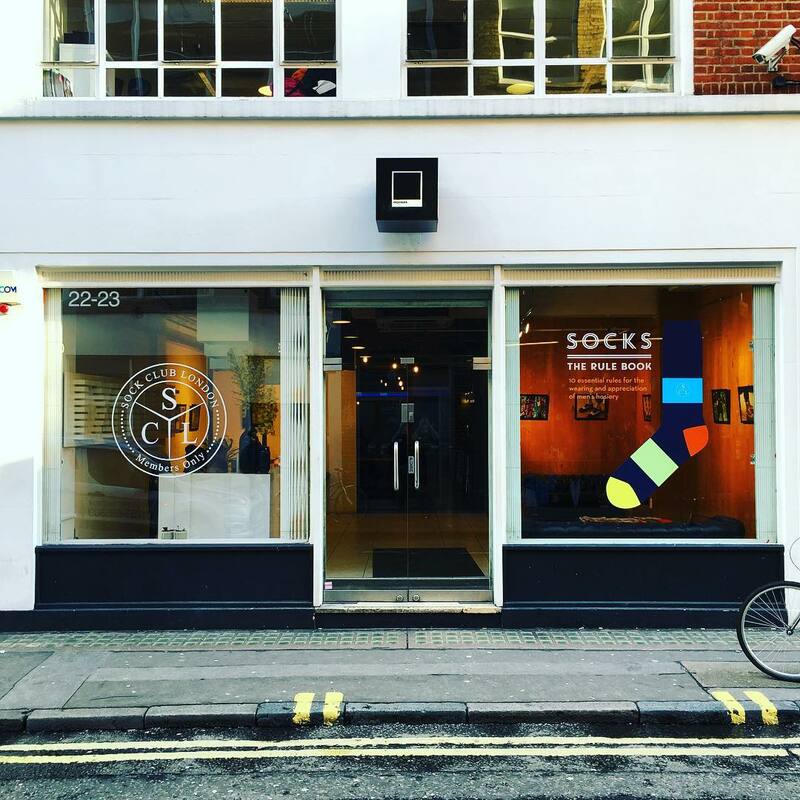 A number of retailers are offering quality sock brands including Anonymous Ism, Chup, Folk and Wigwam but no one does it with the same pride and fervor as Sock Club London. Their pursuit of excellence and attention to detail in every aspect of what they do is unparalleled, and this book will surely cement them as the Champions of men's hosiery.